Altitude’s Welcome app allows hotels to register and check their guests in electronically. Altitude offers a selection of features which will help enhance your hotels productivity and create more time to interact with your guests. We are delighted to welcome Henley Hotel, Fat Camel Backpackers, Tokaanu Lodge Motel, and President Hotel to Clarity. Welcome to the team, Vaun! Meet Vaun, our new Clarity Training and Customer Support guru. Last month Revinate and Clarity Hospitality announced a new strategic integration partnership. Stuart and Natalie will be launching some new products at the Hospitality NZ trade show in Queenstown on the 26th & 27th of September. Come and say hi! General Data Protection Regulations (GDPR) are an EU regulatory initiative that applies to all individuals who are European Union Citizens from May 25th, 2018. These regulations have been designed to give EU citizens full rights and control over their personal information and how it is used. We are delighted to welcome our newest member of our Clarity family, an historic hotel located in the heart of Whanganui - The Grand Hotel in Whanganui. Jet park hotel and Conference entre were recently the well-deserved recipients of the “Excellence in Customer Service Delivery” . Congratulations to The Spire Hotel in Queenstown who have recently been named ‘New Zealand’s Best Luxury Romantic Hotel’ and ‘New Zealand’s Best Luxury Small Hotel’ at the 2017 World Luxury Hotel awards that were held in Switzerland. A Fresh Start and a New Face for 2018! 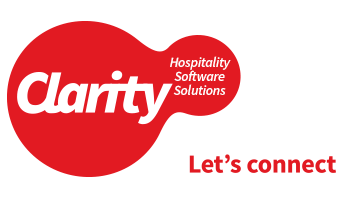 We are delighted to introduce to you the new owner of Clarity Hospitality Software Solutions New Zealand, Stuart Stitt. We are delighted to welcome the newest member of our Clarity family, a fantastic new property, The Heads Omapere. We are very excited to be able to announce that our new dynamic rate functionality will be available in our new version release for all of our customers free of charge.